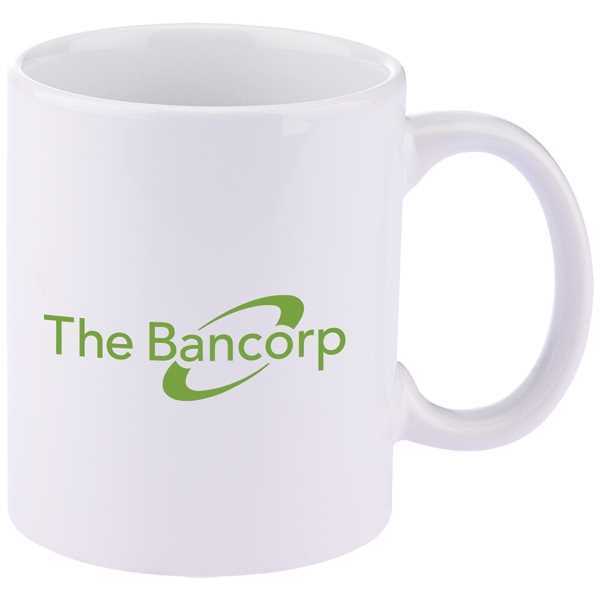 Whether you're meeting over coffee at a shop or in a boardroom, leave your brand with your potential clients using this 11 oz. basic C-handle ceramic mug! Available in your choice of colors, it holds 325 mL and is a classic item for home and office. The budget friendly c-handle ceramic stoneware mug is microwave safe and is hand wash only. Multi-color orders will be pad printed at a reduced area of 2" W x 1 1/2" H. Without the handle, it measures 3 3/4" H x 3 1/4" Dia, and including the handle, it measures 3 3/4" W x 4 1/2" W. Clients will be happy to sip with your brand!